1.1 These are the terms and conditions on which BOx will provide boxing themed cardio, strength and conditioning workout classes and personal training sessions. 1.2 Please read these terms and conditions carefully before you apply for BOx registration under clause 5 or purchase any BOx class, packages of classes or membership under clause 6. 1.3 These terms tell you who BOx is, how to register, how to purchase classes, packages of classes, personal training packages or membership, how classes are taken, how a class that has been purchased may be changed or cancelled, what to do if there is a problem and other important information. If you think that there is a mistake in these terms and conditions please contact BOx to discuss. 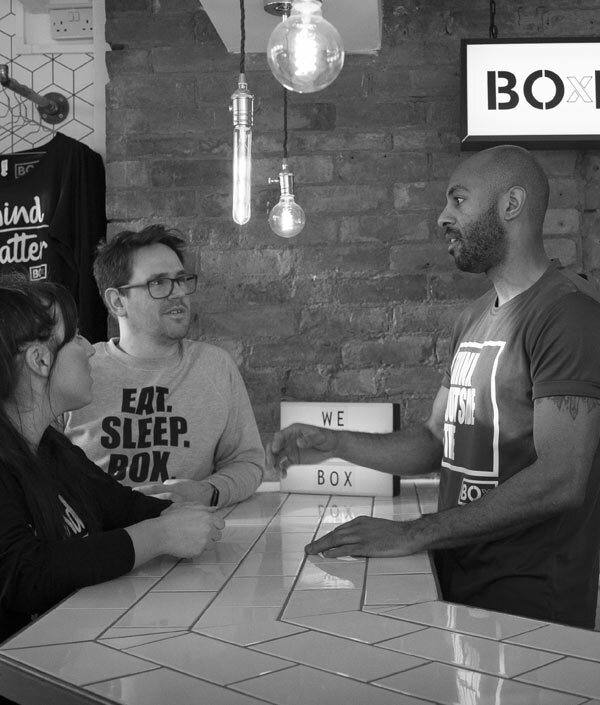 2.1 BOx is a Limited company trading under BOx Studio Loughborough Ltd, company registration number 10640933 and whose office is at 69 Nottingham Road, Loughborough, LE11 1ES, England. 2.2 Unless otherwise provided for in these terms and conditions, you can contact BOx by telephoning 07715212590, by emailing info@box-studio.co.uk or by writing to BOx, 69 Nottingham Road, Loughborough, LE11 1ES. 2.3 Unless otherwise provided for in these terms and conditions, if BOx has to contact you it will do so by telephone, email or post at the contact telephone number, email address and postal address you provide to us. 3.1 Although the objective of BOx is to develop the physical and mental health and wellbeing of it’s clients with boxing themed cardio, strength and conditioning workouts and personal one to one training sessions, the health and safety of each client is of paramount importance, and in consequence these terms and conditions shall be interpreted and applied accordingly. 3.2 To protect the health and safety of each client it is important that both BOx and all clients follow and comply with these terms and conditions, and at all times whilst participating in classes and sessions clients must have regard to not only their own health and safety but also the health and safety of other participating clients, BOx staff and other persons for the time being present. 4.1 No person may participate in any BOx class unless he or she has registered with BOx. 4.2 A person may only apply for, and hold, one registration with BOx at any given time. 4.3 A person may apply for registration by completing and submitting their details online via our website or mobile application and by ticking our terms and conditions to agree the terms and conditions have been read and understood, before completion of their account. A Health Questionnaire, also known as a PARQ form will also need to be filled out in full before a person may participate in any one class. 4.4 The Health Questionnaire Form (PARQ) must be completed and submitted by the applicant and not by any other person (save to the extent necessary to overcome a disability of the applicant), all the health questions asked must be answered, the answers must be complete and accurate and not misleading, and the applicant must voluntarily disclose all other information relating to his or her physical or mental health or wellbeing which is or may be relevant to him or her participating in any BOx class or one to one personal training session, other clients participating in the class, BOx staff, or any other person for the time being present. In particular, but without prejudice to the foregoing, pregnant applicants must disclose their pregnancy. Any clients who answer YES to any of the Health Questionnaire questions must seek permission from their doctor before participating in any of the BOx classes or one to one personal training sessions. 4.5 The duly completed Health Questionnaire Form must be submitted at the BOx reception before participating in any BOx class. For the avoidance of doubt, a person may not apply for registration at BOx reception. All registrations must be completed prior to any BOx class or one to one personal training session. 4.6 Without prejudice to the foregoing provisions of clause 4, the applicant shall provide such further information relating to his or her personal details or physical or mental health or wellbeing as BOx may from time to time reasonably request. 4.7 If at any time after submission any of the content of the duly completed Health Questionnaire Form, or any of the further information provided under clause 4.6 changes or is discovered to be incorrect, the applicant must as soon as possible give to BOx written notification of the change or correction online through the BOx website or by hand to the BOx reception, quoting any reference number that BOx may have assigned to the application. In particular, but without prejudice to the foregoing, pregnant applicants must disclose their pregnancy. For the avoidance of doubt, such notifications may not be given by email or over the telephone. Thereafter the applicant shall provide such further information relating to the change or correction as BOx may reasonably request. 4.8 BOx may refuse an application for registration if it has reason to believe: (a) the applicant is under the age of 16 years; or (b) under the age of 16 years and the application is not accompanied by the required written parental consent; or (c) the applicant has one or more other applications for registration outstanding; or (d) the Health Questionnaire Form has not been properly completed and submitted or any of its content has or may have changed or is or may be incorrect or inaccurate; or (e) any further information requested under clauses 4.3 or 4.4 has not been properly provided; or (f) having regard to the content of the duly completed and submitted Health Questionnaire Form (as the same may have been properly changed or corrected), any further information provided under clauses 4.3 and 4.4, and any other relevant information then known to BOx, any participation in any BOx class or one to one personal training session would or could be a risk to the health or safety of the applicant, other clients participating in the class, BOx staff, or any other person for the time being present; or (g) the registration of that person, or the participation of that person in any BOx class, would or could prejudice or harm BOx or its business or affairs or any of it’s other clients, workers, contractors, agents or representatives. 4.9 If BOx refuses an application for registration it will as soon as practicable notify the applicant of the refusal and the reason for it. There is no right of appeal against a refusal, but a refusal does not prevent further applications for BOx registration. 4.10 Following notification of the refusal, any contract between BOx and the applicant shall terminate, save that any provision of these terms and conditions that expressly or by implication is intended to come into or continue in force on or after termination shall remain in full force and effect. 4.11 If BOx accepts an application for registration it will as soon as practicable notify the applicant of the acceptance, and the following provisions of these terms and conditions shall apply. 4.12 If at any time after registration any of the content of the duly completed Health Questionnaire Form (as the same may have been properly changed or corrected), or any further information provided under clauses 4.4, and 4.4, changes or is discovered to be incorrect, the client must as soon as possible give to BOx written notification of the change or correction online through the BOx website contact page or by hand at the BOx reception, quoting his or her BOx website username. For the avoidance of doubt, such notifications may not be given over the telephone. Thereafter the client shall provide such further information relating to the change or correction as BOx may reasonably request. 4.13 BOx may at any time cancel any registration if it has reason to believe: (a) the client is under the age of 16 years; or (b) under the age of 16 years and the application is not accompanied by the required written parental consent; or (c) the client holds more than one registration; or (d) the Health Questionnaire Form was not properly completed and submitted; or (e) any further information requested under clauses 4.8 was not properly provided; or (f) the client has failed to give proper notification of any changes or corrections under clause 4.9, or any further information requested under that clause has not been properly provided; or (g) the client has failed to give proper notification of any changes or corrections under clause 5.2, or any further information requested under that clause has not been properly provided; or (h) having regard to the content of the duly completed and submitted Health Questionnaire Form (as the same may have been properly changed or corrected), any further information provided under clause 4.8, any further information provided under clauses 4.9 and 5.2, and any other relevant information then known to BOx, any participation in any BOx class or one to one personal training session would or could be a risk to the health or safety of the client, other clients participating in the class, BOx staff, or any other person for the time being present; or (i) the continuing registration of the client, or the participation of the client in any BOx class, would or could prejudice or harm BOx or its business or affairs or any of its other clients, workers, contractors, agents or representatives; or (j) the client has no intention of attending any BOx classes, any one to one personal training sessions and where the client has failed to participate in any BOx class within any 12 month period BOx will be entitled to presume such an intention. 4.14 If BOx cancels a registration it will as soon as practicable notify the client of the cancellation and the reason for it. There is no right of appeal against a cancellation, but a cancellation does not prevent further applications for BOx registration. 5.1 Upon successfully registering with BOx, following notification of the application for registration, BOx will provide the client with a Health Questionnaire Form to be completed before the attendance of any BOx class or one to one personal training session. The client must at all times keep his or her password secure and confidential. 5.2 A client may cancel his or her monthly membership by giving to BOx not less than 2 months written notice specifying a cancellation date which must take into consideration the date in which the monthly membership payment is taken, and the 2 month notice period must start from that date. For example, you specify your cancellation date via email as 15th September, 2 months notice from that date would therefore be 15th November and will include 2 full months payments, one for October and one for November. Your membership then ceases on the 15th of November and his or her account reverts back to PAYG. The cancellation must be given by email, quoting his or her BOx website username. For the avoidance of doubt, a client may not cancel his or her monthly membership over the telephone or at BOx reception. 5.3 Following cancellation of any monthly membership, any contract between BOx and the applicant shall terminate after 2 months following written notice as specified in clause 5.2, save that any provision of these terms and conditions that expressly or by implication is intended to come into or continue in force on or after termination shall remain in full force and effect. For the avoidance of doubt, the client will not be permitted to participate in any BOx classes after the cancellation date of the termination which was specified by BOx. 5.4 Following cancellation of a registration of clients who have signed up to the BOx monthly membership, BOx will refund any monies paid by the client on account of any classes taking place after the cancellation date specified by BOx and in which the client has not participated. Any client that has participated in any BOx class after the cancellation date specified by BOx, will be charged the standard class fee of £6 per class at Loughborough studio and £8 per class at Leicester studio. 5.5 BOx is not permitted to cancel or refund any client who have purchased a block of 4 classes or block of 8 classes. 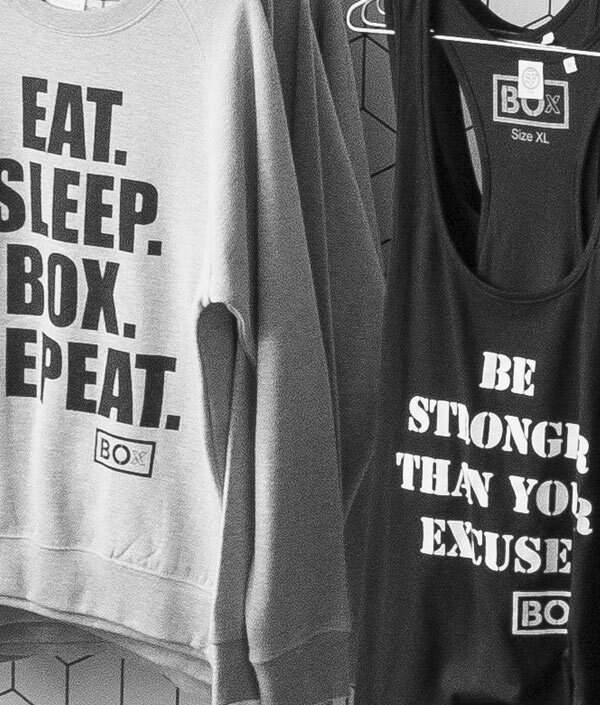 BOx will consider each clients cancellation request of a block of 4 classes or block of 8 classes individually. All circumstances will be considered. If BOx agrees to cancel a block of 4 classes or block of 8 classes, BOx will refund any monies paid by the client on account of any classes taking place after the cancellation date specified and agreed by BOx and in which the client has not participated LESS a cancellation charge equal to 50% of such monies (which the client acknowledges represents a genuine pre-estimate of the loss that BOx will incur as a result of the cancellation). For example, if a package of 8 classes costs £40 and registration is cancelled after 4 classes, then the client will receive a refund of £10 calculated as follows: £40 x 4/8 = £20 - (50% x £20) = £10. 5.6 BOx is not permitted to cancel or refund any clients who have purchased any one to one personal training packages or sessions, BOx will only offer refunds at it’s own discretion. BOx will determine if the reason for the cancellation is satisfactory and decide on each case individually if a part refund is authorised. 5.7 BOx is not permitted to refund any clients who have purchased a 4 block or 8 block which have exceeded the expiry date. Each 4 block and 8 block have their own expiry dates which are notified at the time of purchase and notified again once the purchase has been submitted. If any 4 block or 8 block has not been completed by the expiry date, any leftover credits will be lost. And the client will no longer have access to the remaining credits. For the avoidance of doubt, a 4 block has an expiry of 3 months, an 8 block has an expiry of 6 months. 6.1 From time to time BOx will advertise and market BOx classes and packages of classes describing each class or package and specifying the venue, date, start time, duration and price. In the advertising and marketing material any images relating to a class are for illustrative purposes only. BOx may from time to time offer certain classes or packages on certain terms to certain groups, and in particular, but without prejudice to the foregoing, may offer special introductory offers to new clients, which for the avoidance of doubt may not be available to existing clients or clients who for whatever reason have at any time cancelled their registration and re-registered with BOx. 6.2 From time to time BOx may need to make minor changes to classes or packages of classes to reflect changes in law and to implement improvements to class content. 6.3 Once registered with BOx a client may purchase any class, package of classes, monthly membership, one to one personal training sessions or any other person may purchase any class, package of classes, monthly membership or one to one personal training sessions in the name of and for the client. Purchases will be recorded in the BOx website username of the client. For the avoidance of doubt, no person may participate in any class or one to one personal training session unless he or she is registered with BOx at the time of the class or session. 6.4 Purchases of single classes, packages of classes, monthly membership or one to one personal training packages may be made online through the BOx website, mobile application or in person at the BOx reception, and must be paid for in full by credit or debit card or cash at the time of purchase. For the avoidance of doubt, purchases may not be made by email. 6.5 Once a purchase has been made for a client using a credit or debit card BOx will record and keep the details of that card for use in future purchases. If the client does not wish for such details to be recorded and kept in this way, or wishes to make a particular purchase using a different credit or debit card or cash, he or she must notify BOx of this fact at the time of purchase. 6.6 A purchase of a class or a package of classes or a monthly membership does not guarantee that the client will be able to attend any particular class. Classes are filled on a "first come first served" basis. If a particular class is full then another class should be selected by the client (subject to availability). 6.7 Following a purchase of a class or a package of classes or a monthly membership BOx will provide the availability to be able to view the classes the client has selected or purchased via the BOx app or website, (a) confirming the availability of each class purchased or selected and the date, time and place of that class, or (b) if a class is fully booked, then the client will be notified and given the option to be added to the reserve list and will be notified if a space becomes available up to 2 hours before. In order for the client to secure the available space, the client must respond to the request giving BOx as much notification as possible. 6.8 Any new persons wishing to be added to the BOx waiting list for any class, or wishing to attend a class on the day, without previously registering, cannot participate in any BOx class until that person has fully registered with BOx via the app or website and has completed a Health Questionnaire Form. 6.9 BOx will not disclose any waiting list positions or updates. For the avoidance of doubt, the class cancellation provisions of clause 6.11 still apply where the client is on a waiting list. 6.10 From time to time for various reasons beyond its control, such as injury or illness to a trainer or the unavailability of a venue or studio, BOx may need to cancel a class that a client is due to attend. Not less than 12 hours before the class start time BOx will send to the client an email notifying him or her of the cancellation and confirming that the cost of that class will be held to his or her credit for application to another class to be selected by the client (subject to availability). If the client does not have access to emails BOx will upon request give such notification and confirmation by telephone. If the client does not have access to either emails or telephone then he or she must attend at the BOx reception to be given such notification and confirmation in person. 6.11 A client may cancel any particular class or one to one personal training session that he or she is due to attend if not less than 12 hours before the class or session start time via the telephone app or BOx website. Any client who has purchased a class, package of classes or one to one personal training session and does not cancel the class or one to one personal training session within 12 hours, will be fully charged. Any BOx monthly member who does not cancel the class within 12 hours, on more than 2 occasions, will receive a non attendance fee of the full price of a class. If a BOx monthly member continues to not cancel a class not less than 12 hours before, may be temporarily barred from booking any further classes if continuous un-attendance occurs. Any client who has purchased a package of classes and fails to cancel within the 12 hour window will lose that credit. Any client who has purchased one to one personal training sessions and fails to cancel within the 12 hour window will lose that session. 6.12 If a client fails to attend a particular class that he or she is due to attend, and has not cancelled that class in accordance with clause 6.11, BOx may (but is not obliged to) hold the cost of that class to the credit of the client and apply that credit to another class to be selected by the client (subject to availability). For the avoidance of doubt, if it is decided not to credit the client, the client will not be entitled to any refund of any of the cost of the class or any other compensation. 6.13 Where BOx holds any money to the credit of the client for more than 12 months or such other period as may be specified in the advertising or marketing of the relevant class, package of classes or one to one personal training sessions, the money will be deemed to have been spent by the client with BOx, and the client will not be entitled to any refund of any of the cost of the class or session or any other compensation. 7.1 Clients due to participate in a class must arrive at the scheduled venue in good time and be present at the relevant studio ready for participation in the class not later than 5 minutes before the scheduled start time. This is required to enable the trainer to properly induct participating clients before the start of the class. Late arrivals necessarily disrupt the induction process and the participation of other clients in the class. Where a client is not present at the relevant studio and ready for participation in the class 5 minutes before the scheduled start time he or she will be excluded from that class. If the client is excluded under this clause 7.1 he or she shall be deemed to have failed to attend the class and the provisions of clause 6.12 shall apply. 7.2 Upon arrival a client must report to the BOx reception and provide such evidence of identification as the BOx staff may reasonably request. BOx reserves the right exclude from the class any person who staff are unable to verify as the client for whom the class was purchased. If a person is excluded under this clause 7.2, the client will not be entitled to any refund of any of the cost of the class or any other compensation. 7.3 Without prejudice to any of the provisions of clauses 4 and 5, upon arrival a client must voluntarily disclose to the BOx reception and the trainer taking the class all information relating to his or her physical or mental health or wellbeing which is or may be relevant to him or her participating in the class, other clients participating in the class, BOx staff, or any other person for the time being present. In particular, but without prejudice to the foregoing, pregnant clients must disclose their pregnancy. If the BOx reception or the trainer has reason to believe that the client has not properly disclosed all such information, or that any participation in the class would or could be a risk to the health and safety of the client, other clients participating in the class, BOx staff, or any other person for the time being present, he or she will not be permitted participate. If participation is not permitted under this clause 7.3, the client will not be entitled to any refund of any of the cost of the class or any other compensation, but BOx may (but is not obliged to) hold the cost of that class to the credit of the client and apply that credit to another class to be selected by the client (subject to availability). 7.4 A client must ensure that he or she wears protective equipment appropriate to the class in which he or she is participating, and in particular clients must wear hand wraps and boxing gloves. Clients must supply their own hand wraps, which may be purchased from any BOx studio (subject to availability). 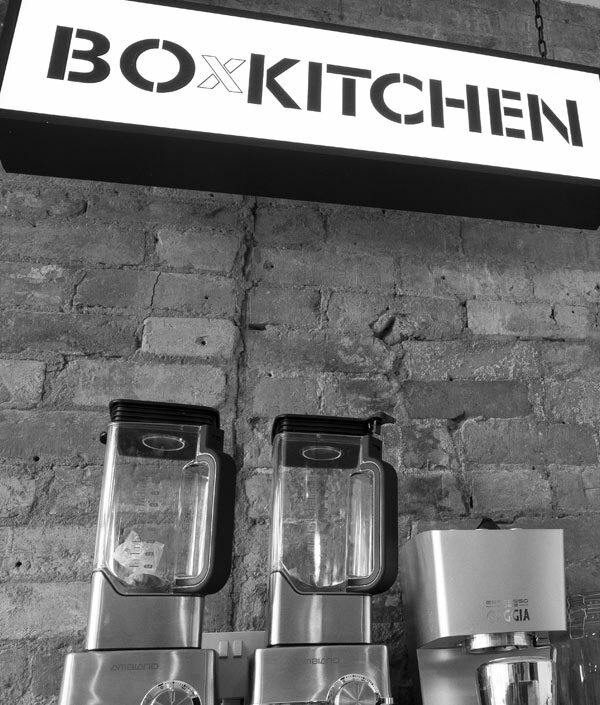 BOx supplies boxing gloves for clients to use during classes, but clients may use their own boxing gloves if they wish. No boxing gloves supplied by BOx may be used without hand wraps. If the trainer taking the class has reason to believe that any item of protective equipment, and in particular any boxing gloves belonging to the client, is inappropriate the client will be required to change such item. If the client fails to comply with such a requirement the trainer may require the client to stop all further participation or limit or restrict any further participation as the trainer considers necessary to protect the health and safety of the client, other clients participating in the class, BOx staff, and any other person for the time being present. If further participation is stopped or limited or restricted under this clause 7.4, the client will not be entitled to any refund of any of the cost of the class or any other compensation. 7.5 A client must ensure that he or she wears clothing and footwear appropriate to the class in which he or she is participating, and avoids unsuitable jewellery or other accessories. If the trainer taking the class has reason to believe that any item of clothing or footwear is inappropriate, or any item of jewellery or other accessory is unsuitable, the client will be required to change or remove such item. If the client fails to comply with such a requirement the trainer may require the client to stop all further participation or limit or restrict any further participation as the trainer considers necessary to protect the health and safety of the client, other clients participating in the class, BOx staff, and any other person for the time being present. If further participation is stopped or limited or restricted under this clause 7.4, the client will not be entitled to any refund of any of the cost of the class or any other compensation. 7.7 If at any time during participation in a class a client suffers any injury or illness (however minor), the client must immediately disclose this fact to the trainer taking the class. Thereafter the client shall provide such further information relating to the injury or illness as the trainer may reasoned to file an accident report from.